Talent shortage, full-employment, mobile recruiting, social media—2015 has been quite a year for recruiting professionals and hiring managers. As we wind down the year it’s a good time to reflect on some of the statistics behind the trends that made this year in recruiting so interesting. From employee engagement to Millennials, here are 16 stats we thought you’d find most useful as you look forward to your 2016 talent strategies. 1. For the first time since the great recession, unemployment will drop below 5%, which economists describe as ‘full’ employment. 2. 34% of the U.S. workforce is comprised of Millennials, currently the largest group with still more Millennials set to enter the workforce. 3. Baby Boomers are currently 29% of the workforce with many set to retire in the coming years. 4. The freelance economy is growing. Freelancers, contractors, and temporary employees make up 34% of the U.S. workforce. 7. 75% of employed workers are open to or actively looking for new job opportunities. Get ready for 2016! Register for “HR Trends for 2016” a thought leadership event. Learn more here. 8. For those looking for a new position, search engines are a workhorse! 30% of all Google Searches (300 million per month) are employment related. 10. 45% apply for a job on mobile devices! 11. Not to be outdone, 79% of job seekers are likely to use social media in their job search. 12. Candidates aren’t just using social tools in their job search; they also use their networks to talk about their experiences. 63% of job seekers report talking about their job search experience at any given employer with their professional and personal network. 13. This can have a big impact on your talent pipeline. 69% of job seekers would not take a job with a company that has a bad reputation--even if unemployed. 14. Hiring managers expect a 63% increase in hiring volume. 15. 58% of HR managers are hiring workers without industry experience and training them on the job, so expect talent development functions to also expand in 2016! 16. 63% of the CEO population feels that finding the talent they need is a top business concern. 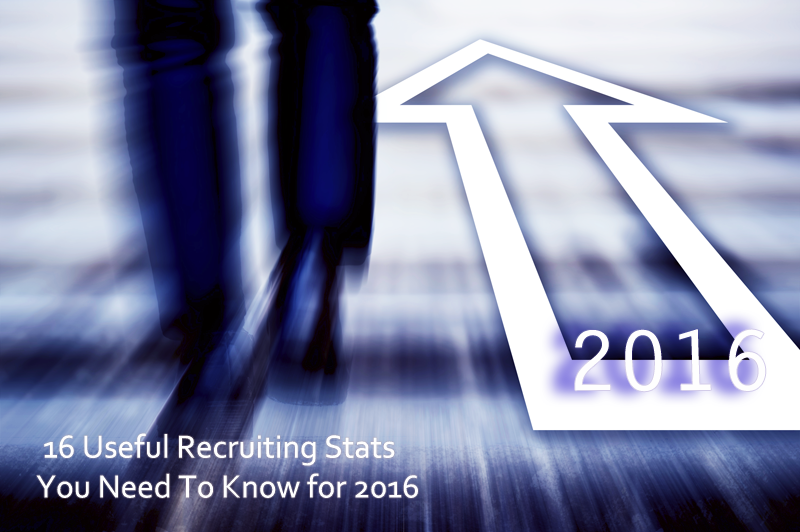 How is your 2016 talent outlook? Are you expecting to see a large increase in your hiring needs? Let Advanced Resources help! We’re experts in the temporary, temp-to-hire, and direct hire placement of HR, technology, accounting/finance, healthcare, and office support professionals. We also provide a suite of strategic workforce business solutions designed to help you maximize the ROI you receive on your talent. Click here to get in contact with one of our expert recruiters.